One of the first things to always do is sketch out a layout. Getting your vision out onto paper will allow you to work from those initial thoughts. Don’t let it just stay up in your head. GET IT OUT! Generally speaking I like to meet as much as possible in the first few weeks to understand your vision and give you realistic expectations of what can and cannot be done on a website. In the past there clearly was a limit as to what could be done on the web but nowadays just about anything can be done on the web… just depends on what tools you have at your disposal. Also it should be agreed upon what CMS (content management system) and hosting platform to work with. IMO, WordPress is the best CMS to work with nowadays. It is fast, reliable and can be customized to add in many plugins. It also produces some very slick and professional looking websites now. For new websites it is good to know what stage your are at in the process. Working on existing sites are very straightforward because the client has already secured a domain name and hosting. If you haven’t secured that yet I would recommend GoDaddy because they offer excellent customer support and hosting has little to no downtime. All of these things will be worked out in the first few days. Once we have established the backend of the website we need to proceed to the frontend. Layout, graphics, content, responsive and SEO. 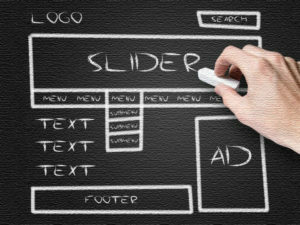 Layout: This is a key component in any website. Moving your user through a particular journey will help them find the information they need and hopefully the phone call you want. Graphics: It is best to your images from your own production. This will help in showing your actual products and services while also giving a personal touch. If you have access to a good camera take pictures at the highest resolution… your graphic designer will thank you. Content: You can only go so far with your website with out proper content. We will work together to will in all those blanks. The more you can tell your user the better… they will be looking for specific information to make their decision. 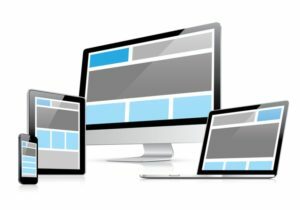 Responsive: Make sure your website is ready for all different platforms. Most WordPress sites are responsive which is why we recommend working with that CMS. SEO: Having a great website is one thing but having it readily searchable is another. We will make sure your website passes all the tests and will move up the rankings organically. We want your site to be front and center. Google, Bing and other search engines require certain elements to ensure your site advances up the ranks. Follow our instructions and soon you will be on the front page. If you have any questions please feel free to reach out to us. 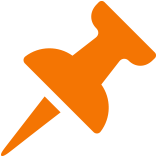 We are more than happy to answer any questions you have on your journey to the website you deserve.